Owner Motivated, wanting to move up PRICE REDUCED!! 1989 Shamrock 31 Grand Slam. 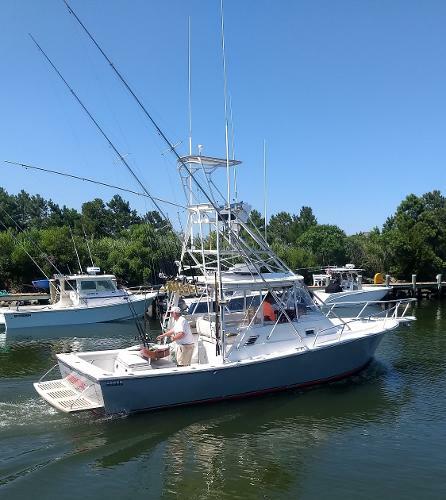 This vessel has seen major upgrades including NEW ENGINES , Gears, with Transferable Warranty on Cummins until June 2022. New Generator. Cruise at 30 Knots... Only 440 Hours 8/2011 Purchased Boat 5/2012 New Garmin 4210 GPS/Chartplotter & 24 mile Radar Dome 4/2013 New Garmin 4210 GPS/Charplotter in Tower New Garmin 7212 Touchscreen & 1000 watt Transducer 5/2013 New EZ2CY Windshield 4/2015 New Tackle Center & Seat Configuration in Helm 5/2015 Purchased 3 Blade Props. 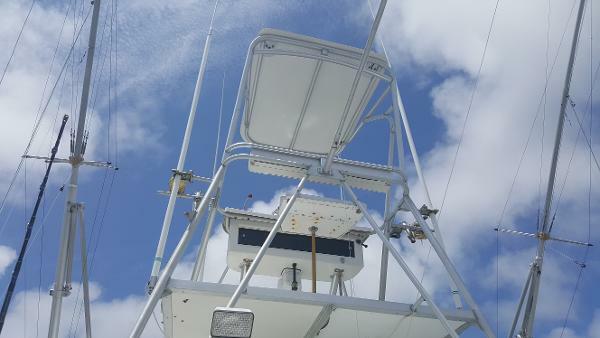 Have 4 Blade Props as Spares New Refrigerator 6/2015 New ICOM VHF Radio w/AIS Receiver & Command Mic for Tower New Antennas New 279 Gallon Fuel Tank New Batteries New Lombardini 4.9kw Generator 6/2016 New Awlgrip Paint New Hatch New Helm Seat Cushions on Captains chair & Side seat 6/2017 New 315 h.p. Cummins 6BTA Diesels (Painted Engines & Bilge w/ awlgrip paint) New ZF Transmissions 1.5:1 New Side Exhausts 5/2018 New Air Conditioner New Fresh water pump & tank New Tower Seat & bolster New HD Radar Dome 6/2018 New Wall Covering in Cabin New Table in Cabin Refinished Cabin Woodwork Brand new backdrop added to new enclosure Purchased additional 4 years of transferable warranty This is a must see vessel!!! This Shamrock shows very well. The owner has spent a lot of money bringing her to the condition that she is now in. The New Cummins power cruiser her easy at 28-30 knots. The Cummins are under warranty until summer 2022. Everything has been done and updated. 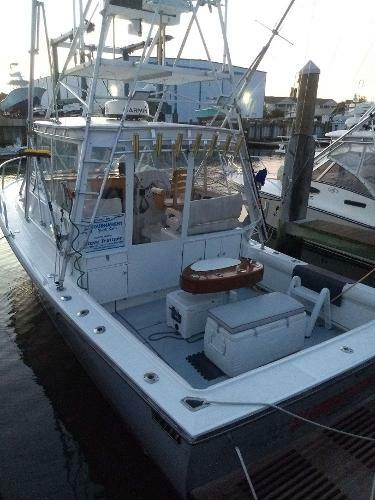 If you are in the market for a boat in the 30 foot range, this one is ready to go with new motors and much more. Call for an appointment to view her.